Are your house keys lost or stolen? Need a locksmith quick? Get- Locksmith guarantees a 20 minute response time. Call now! Have you lost or misplaced the keys to your home? Has the lock on your front door stopped working, and you are unable to get in? A home lockout is rarely easy to deal with, unless you have a spare key on you at all times. Stop wasting precious time and get in touch with us now! Get-Locksmith guarantees a 20 minute response time and the fastest emergency lock picking services in town. Call now! Locks are an essential part of our lives, providing us with safety and security, especially in our homes. At times, this may have the opposite effect and deny us access as a result of leaving the keys inside, misplacing the keys, or due to a faulty lock. 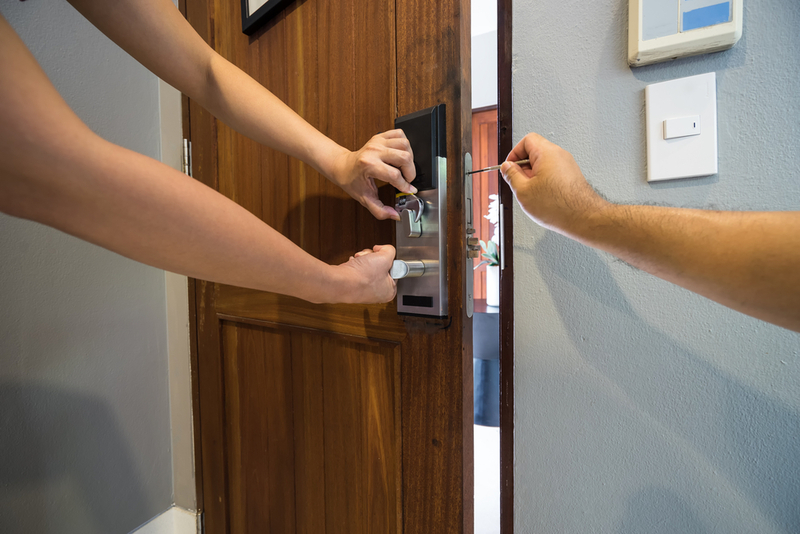 Our team at Get Locksmith understand the urgency in gaining access to your residence by providing quick and efficient service. Using advanced software, our dispatchers will collect your information and relay it to the technician, having him en route to you straight away! With years of experience and consistent training on current locking mechanisms in the market, our specialists have the knowledge to assist you on a wide variety of locks from deadbolts to high-security. It can happen to anyone, anytime. Whether it's 2 AM or 8 in the evening and you've just gotten back from a business trip or a long day at work, getting locked out of your house can happen to anyone at any time; Get Locksmith provides 24-hour coverage so that when you call for an emergency locksmith, no matter what time of day or night, we are there for you. When you call on Get Locksmith to help you out, you will not only get a highly skilled professional locksmith, but you will also receive the best customer service available! Get Locksmith understands the importance of satisfied customers and therefore, we always strive to provide you with the best service and a positive experience. 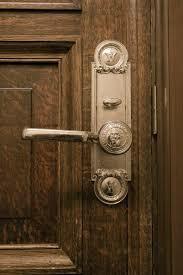 The charm of old homes with antique locks on doors, wardrobes, and chests is hard to imitate. Unfortunately, most of these locking mechanisms suffer from the specific wear-and-tear factor, and malfunction and jammed lock issues are regular occurrences. When dealing with a broken key in the home lock, your day is likely to be brought to a grinding halt. Our service focuses on completing the broken key extraction process as soon as possible and give you a new key on the spot while charging as little as possible. While most locksmiths will be quick to drill out the lock and have it replaced it with a new one, our aim is to keep the costs to a minimum. We only work with licensed, certified, insured and/or bonded lock technicians that have been in the industry for many years. All of our technicians have undergone rigorous and extensive forms of training at official locksmithing bodies where they have gained various forms of credential, qualifications, and specific security clearance. Our locksmiths have a firm grasp of all the lock repair, lock picking, and lock installation methods that best work with a number of different locks. This allows them to provide pertinent security advice, as well as practical help. They can gain easy entry into your home in the shortest time possible with the help of modern tools and procedures. They will then fix your broken lock, remove any jammed or broken key in the keyway, re-key a lock or replace it with a new one on the spot. Get Locksmith technicians also cut new keys on the spot. Our lock selection is one of the most diverse and affordable in town. If you need your locks replaced, make sure to let our customer support know about it and we will offer you the best solutions for your needs upon arrival. Not all locks can be fitted on any type of door, and not all locking systems may do the job you would expect them to do. We will provide you with pertinent advice and help you make the best choice. Call today and we will send over an emergency locksmith that will reach you within 20 minutes! Question: What do I require to have my house unlocked? Answer: We at Get Locksmith value Federal and State laws and safeguarding your security is our highest priority. Upon arrival, our technician will verify Proof of Residence using your ID, utility bills, or rental/lease agreements before proceeding with the service. Question: Will my locks be damaged? Answer: Our highly skilled professionals will initially attempt to pick the lock without causing any damage. Due to the variety of locks and their security systems, some are equipped with anti-pick or anti-bump features that require us to drill the lock in order to gain access. In this circumstance, our technician will inform you on-site before proceeding with the service and offer you replacement options to select from.